Apple, Inc.’s (NASDAQ: AAPL) business primarily revolves around its iPhone sales, as it drove nearly 60% of its revenue last year. However, Credit Suisse said that Apple is in a difficult situation and could witness a double-digit decline in iPhone sales, according to CNBC. Credit Suisse initiated its coverage on Apple with a neutral rating, citing a slowdown in smartphone demand and the iPhone business reaching maturation. The firm expects iPhone sales to decline by 12.4% in 2019 after dropping 3.2% in 2018. Credit Suisse also set a 12-month price target for Apple at USD 209 per share. “iPhone is in a difficult spot with units >20% below peak as users are holding on to their devices longer than ever (4 years per CSe) and price hikes have likely run their course,” Credit Suisse’s Matt Cabral said in a note to clients. Apple slashed its guidance prior to its previous quarterly guidance due to ongoing global economic slowdown, particularly in China. Apple slashed its iPhone price sales by 6% in China after revenue in the region fell by 27% year-over-year in the first quarter. 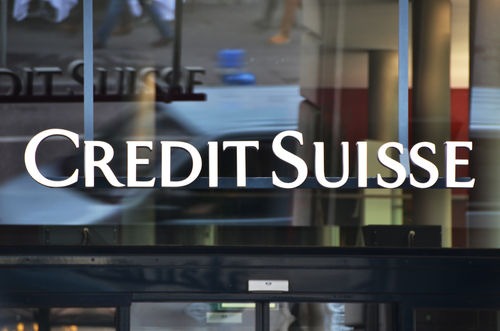 Credit Suisse says there might not be a “quick fix” in sight to turn it all around. “Beyond macro conditions, we see deeper structural challenges in China and do not expect a meaningful turnaround without a major iPhone refresh, which is unlikely until 5G in CY20,” said Cabral, the investment bank’s director of equity research. Apple is planning on shifting it focus more toward services in efforts to monetize its user base. The Company launched several services recently such as its news subscription platform and its online streaming platform. While Apple’s initiative pushes itself into new territories, Credit Suisse argues that the transition cannot be done instantly. “We recognize the potential in the shift to services, but believe it will take time for that view to play out,” Cabral said. The analyst sees the service business growing to $65 billion by 2021 from $40 billion in 2018. What is wrong with $AAPL – it’s not feeling the love here. $AAPL can’t hold $200 for long, bulls are taking profits, I’ve been loaded since $155, just closed my position heh. $NFLX reality setting in today. Competition from $DIS and $AAPL will be huge. Consumers have limited dollars to spend on streaming on demand content. These are not tiny competitors either, both have much bigger market caps than Netflix.